After 18 months, it is time for an evaluation of our 100% electric, zero emission, Renault van. In April 2012 we took delivery of a replacement van for our trusty Renault Kangoo. 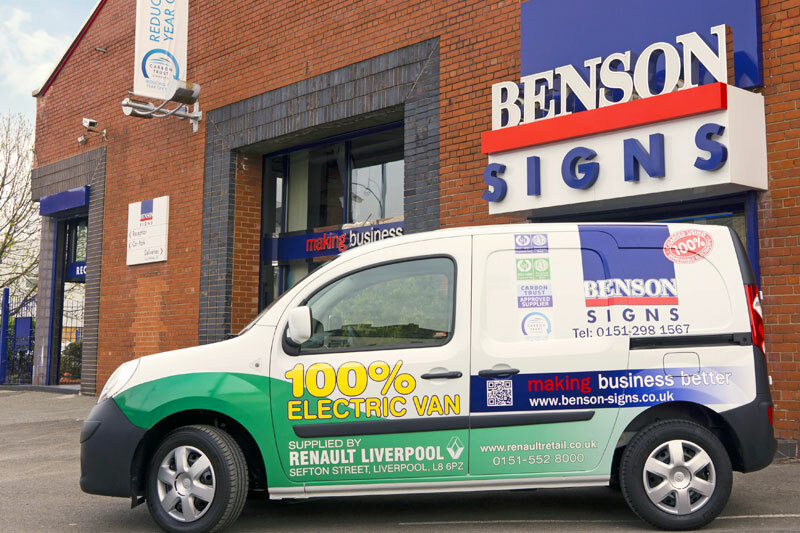 The van was to be used for short trips in and around Merseyside, so we took the opportunity to further our carbon reduction commitment by investing in an electric Renault Kangoo. In conjunction with the 25kW of solar photovoltaics we have installed on our factory roof we believe that it could possibly be the only 100% emission free vehicle in the UK... However, please do get in touch if you know otherwise! The van has travelled a total of 5142 miles since we took delivery and has used a total of 2026kW. This equates to an efficiency of 2.53 miles per kW. 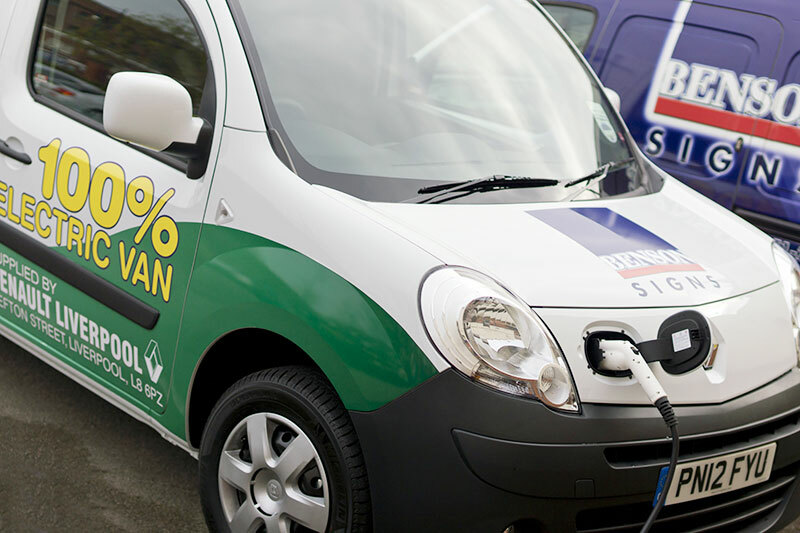 In addition, we can convert the miles travelled by the van into a reduction in our emissions by using the average mpg of the van it replaced. This gives us a CO2 reduction of 1.63 tonnes, which will continue to rise the more we use the van. Environment Co-ordinator, Graham Barker said: “We are immensely proud to be forging ahead in our own humble way; however, the true potential of Electric Vehicles is much greater. With the advent of Formula E in 2014, and the achievements of Drayson Racing in setting a World Land Speed Record of 204.2mph, the future for electric vehicles looks very good indeed”. We have also had positive reactions from company personnel. Steve Burton, Technical Sales said: “The Van is a pleasure to drive, and very relaxing due to the lack of engine noise. I was initially worried about the range of the battery and re-charging, but we get around 80 miles from a full charge, and it's so easy to plug in for a re-charge”. John Ryan, Sign Fabricator said: “I find the van great to drive. It’s quiet, nippy, and with the regenerative braking it gives a real sense of safety and confidence. Also, I don’t miss the smell of diesel when filling up! It couldn’t be easier to plug it in to re-charge”. Richie Hindley, Print Studio Fabricator said: "It’s really great to drive; so simple. It also generates a lot of interest from people. When you are out and about, or when it is parked up, you get a lot of people coming up and asking questions about it”. Chris Benson, Managing Director said: “This has been a worthwhile investment. What we need now is for vehicles with 180 - 200 mile range to become available in order to make a real impact”. 100% Electric Vehicle at Benson Signs.